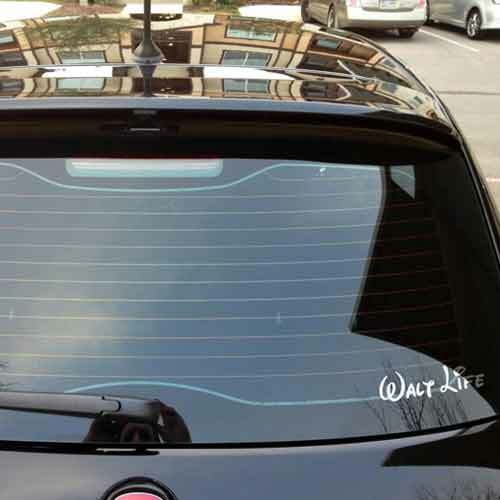 Our exclusive Walt Life™ vinyl decals can be placed on your car window, notebook computer, wheelchair, scooter, wall, or anywhere you want to show some Disney Love! They are a must have for your next Disney Roadtrip! Our Walt Life™ decals are available in 10 vibrant colors. Choose your favorite! We only use Premium Greenstar 5 Year Calendared Vinyl with a High Gloss Finish. Which basically means they are made from professional grade automotive vinyl rated for outdoor use and cut on a professional grade machine, so they will last for years!